Re-planning the day. Eggs for breakfast. Deciding on having rest. Long lines to enter Arches. Driving through Utah 313. Stopping at the viewpoints. 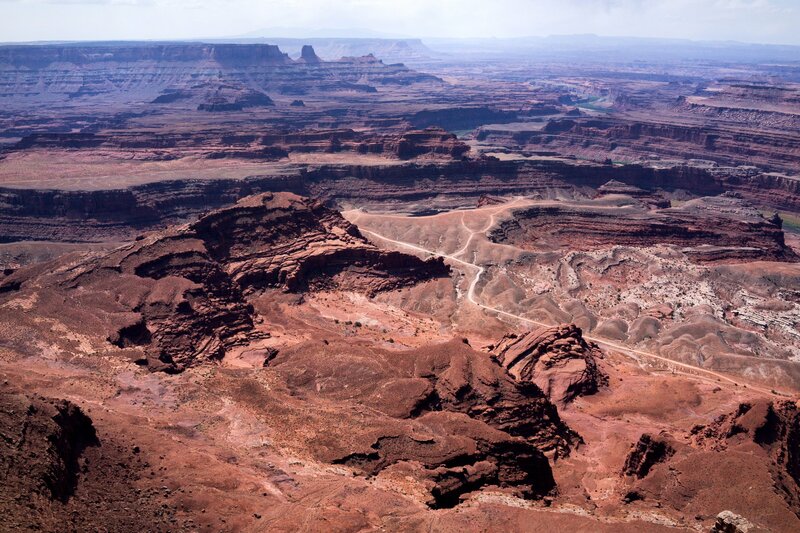 Dead Horse Point State Park. Education on the Potash Mine. Overlooks. More pictures. Woman playing with her life for a selfie. Detour to Island in the Sky. Cows everywhere. Long lines. The Mesa Arch. Sand in eyes. Heading back to Moab. Lunch with remaining food. Another beer. Moab Garage. Easy parking. Ice cream and iced coffee. Computer work. Walking through Main Street. Cars galore. Window shopping. Last stop at the grocery store. City Market. Butter sage pasta. A stolen beer. Shower. Extra windy. Sand everywhere. Long session. Hard to sleep.